Norway and roof rats are critters that make our home life unbearable. Scratching and chewing sounds disturb us awfully throughout a night. Besides, the rats, that sneak into our house or appartment, cause damage to the property and foodstuff. The worst, they bring hazardous diseases into our homes. There are several ways of killing rats indoors. Humans have tried almost everything in the struggle against black and brown rats. As these animals are intelligent and sly, it is not so easy to trap them or to make them eat a toxic bait. Some farmers and homeowners collect bottle corks. What’s for? They cut them in halves. Then, they fry the pieces of cork in butter and place the bait throughout the infested areas. When the rats ingest this treat, cork starts swelling in the stomach and rats die within some days. Besides, humans can prepare some special food with “surprise” for the unwanted guests. They use crashed glass, hydraulic powder (gypsum plaster, stucco, cement, asbestos) and steel wool as a destructive substance. In urban settlements, homeowners mix fried flour and asbestos (or cement) powder. They lay the bait on paper plates and place them in the rat habitats. It is necessary to leave some water or fresh fruit and vegetables nearby. Rats like cucumbers and apples. Once the powder ingested and the water drunk, cement powder will harden and damage the digestive system. The house rat will die in pain. In rural areas, farmers usually plug holes using liquid mixture of glass or steel wool and gypsum plaster. The mixture grows hard and seals the hole. When the Norway rats try to enter the house or barn next time, they will have to gnaw through. The set mixture of steel wool and crashed glass destroys digestion as well. 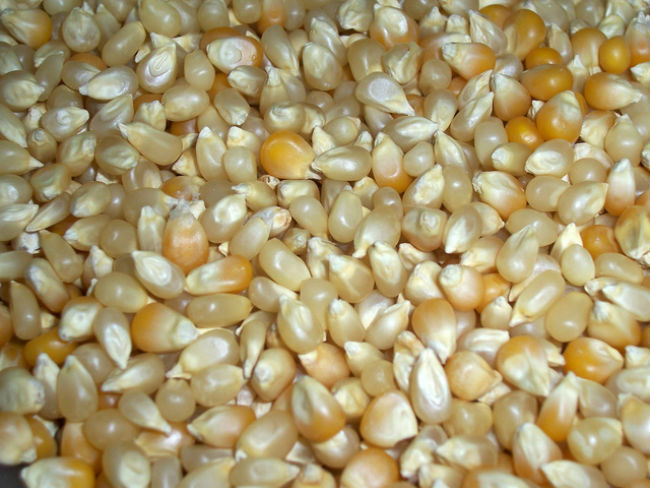 Another method of killing rats is to buy vegetable and cereal grain pellets based on corn gluten (for example, RatX). It is a non-toxic way to get rid of dangerous pests. The great advantage of this rodenticide is that it doesn’t pose any risk of contamination to crops, food or secondary poisoning to raptors or birds of prey. The mechanism of damage is simple. The gluten pellets cause harm to rodents due to the unique digestive system of rats and mice. This natural rodenticide coats the rats’ stomach lining and eliminate all messages to the brain to drink water. Dehydration leads to blood thickening and circulatory collapse within a day or two of feeding. At last, they become lethargic and return into burrows where they fall into a coma and die. In fact, the mummification process is so fast that you won’t smell corpses decaying inside the walls and in the crawlspaces. Chemical baits are consumer use products that contain toxins. Once ingested, the poison from a chemical bait station gets into a stomach and damages vital systems. In practice, this process of killing rats is not immediate. Mortality occurs a few days after bait is consumed. This is done specially to deceive the most clever brown rats and to exterminate as many colony-mates as possible. In this case, rats do not associate the damage and death with the food source. The most common active ingredients of commercially available baits are coumatetralyl and warfarin (Kaput), brodifacoum (d-CON Bait station by Reckitt, Havoc XT by Neogen rodenticide, Final Blox Rodenticide by Bell Labs, Talon Weatherblok XT Rodenticide by Syngenta), diphacinone (Ramik by Neogen rodenticide, Tomcat Bait Pellet by Motomco, Bait Block by JT Eaton, Liqua-Tox II liquid Concentrate, Answer by JT Eaton), bromethalin (Tomcat by Motomco, Fasttrac Blox by Fastrac, Top gun by JT Eaton, Cykill by Neogen rodenticide), difethialone (First Strike by Lipha Tech) and bromadiolone (Just one bite by Old cobblers Farm, Just one bite II by Farnam, Blox by Contrac). Weatherable baits in the form of bars, pellets, liquid concentrates, blocks, are very attractive to rodents. In fact, multiple-dose baits (coumatetralyl and warfarin) are less toxic to non-target birds and animals, in both primary and secondary poisoning situations, than other single-dose anticoagulants (brodifacoum, bromadiolone, pindone, diphacinone). Most rodenticides contain a human taste deterrent (Bitrex®) for safety. Moreover, there is an antidote to the anticoagulants. The vitamin K1 is readily available in the case of accidental exposure to poisons by humans and pets. The US entomologists recommend placing rodenticides in tamper resistant bait stations to prevent non-target animals such as birds, dogs and cats from feeding. Toxic bait stations are designed for use in and around agricultural buildings. One of the most effective method of killing rats naturally is adopting a rat-catching domestic animals. As a rule, homeless dogs and cats from amimal shelters are able to fight against the groups of rodents successfully as they always struggle to survive. Homeless and alley female cats are the best rat-hunters as they naturally tend to defend their rising generation. The best solution is to take an adept rat-catching cat from an animal shelter or from a farm. It is known that alley cats with triangular heads and three-color coat coloration are the most effective and agressive. Cat breeds as ratters are Oriental, Cornish-Rex, Abyssinian, and Seamese. Besides, you may buy a hunting dog like terrier, chihuahua, weiner, pinscher or ratter. They are nice rat-catchers as they are historically trained on rats. You may attend special training courses for dogs. Specialists use white lab rats for training. Weiner dogs are the best rat-hunters among the earth dogs. All the methods mentioned above are effective when your rat infestation is not significant. Homeowners are able to exterminate a small family of rats on their own. 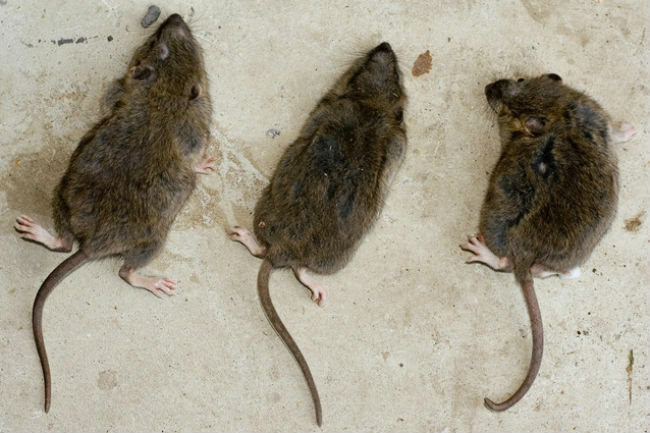 How to get rid of rats by using different types of traps read here. However, as Norway rats thrive well and replace losses fast, the only possible option in most cases is to hire professionals. Pest control services and rat exterminators get rid of really bad rodent invasions effectively.